It’s Friday night. I am about to go to a concert with my friends. However, what you don’t realize is that the combined age of my friends is 300. As a college student, I look forward to the weekends where I can go dancing at a club with friends and let go of the week’s stresses. However, I do not take any particular interest in doing the Charleston or The Twist. For goodness sake, I’m a college student. That does not tickle my fancy. If you look around campus, you will notice a surprising amount of attendance from elderly people in the community. Weekends seem to be a time where they migrate to campus and the actual students seem to make an exodus elsewhere. The crowd at any given event held on the weekend consists of people that have salt and peppered hair, and that may have retired or live in the community. However, on the contrary, college students should be at school, doing things with people their own age. When you think of college, it is usually not associated with mingling with people that are older than your parents or grandparents. I am in no way saying that hosting the community or alumni is a negative thing, it is just quite unusual for a college. Young Harris College hosts the ICL Program, which helps senior citizens become computer savvy. It’s almost as if there is no confidence in our peers. If you were to visit Georgia Tech or UGA, there is school spirit. People who are proud of their school and tend to show up to events, whether they are on weekends or weekdays. That is what college students do. The fact that we are in college inherently means that we stay on campus to get the “college experience” our parents rave about. It does not make sense that the parking lots are empty by Friday afternoon. Because we attend a small college in the north Georgia mountains, it is more difficult to find something to do because we do not live in a major city. But that is no excuse for the pathetic atmosphere you can cut with a knife on weekends. My challenge to you is to take some initiative in what happens on campus on weekends. The senior citizens in the community attend campus events more than the actual seniors do. They have already been to college and it’s quite pathetic to have more in common on weekends with people that have already lived the majority of their lives. As final exams grow closer with each passing day, we grow closer to summer break, and for some, graduation. The atmosphere on campus reeks of the aftermath of spring break. Students returned to campus with a look of exhaustion plastered on their faces. Professors are placing pressure on everyone and really kicking this ship into high gear. Thankfully, the winter weather is packing up and moving along. Hopefully, this will help bring some life back to the campus. Spring is moving in, and the campus outdoor recreation is starting to pick up. The beautiful flowers and trees are blooming. Students are lying on the lawn, playing Frisbee, catch, studying in hammocks and soaking up some sun. This will definitely aid in repairing the attitudes and outlook around campus as things become a little more stressful. Now that the school year is coming to a close, keep in mind that this is a place in the semester where students, faculty and staff alike are pressed for time. Nevertheless, it is pertinent that we, as students, remain diligent about finishing the best way we know how. The last stretch is the notorious area of the race where the athlete becomes tired and will reason with him- or herself to either slow down and quit, or really challenge him- or herself to sprint towards the finish line. Additionally, this is the place where we, as students, need to really push and try as hard as we can. This is what we have been working toward all school year. Essentially, this is the part of the race that counts the most. I dare you to do better than you have done previously. My mom never fails to mention a quote by a great man, you never started a race unless you finish it. 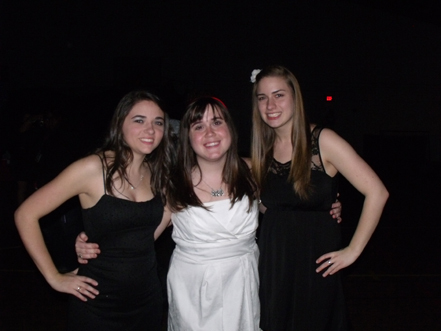 The Black and White Affair dance held this past Saturday, Feb. 26 by SPAT club, a service organization here on campus, was a success. The dance began at 9 p.m., however, since it is never a bad idea to be fashionably late, most people did not begin to arrive until 10 p.m. Girls showed off their beautiful white, black and red dresses, while guys cleaned up very nicely in dress pants and multicolored dress shirts. The SPAT guys, especially, could be easily recognized by their all black attire and their red ties. 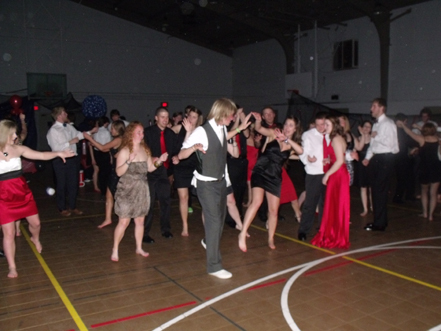 As soon as students began to arrive, they hit the dance floor and showed off their best dance moves. The music varied in styles however, hip hop was dominant. With old favorites such as “Snap Yo Fingers” by Lil John and “Hot in Herre” by Nelly, students were even more drawn to the dance floor. While the deejay did have his low and high points, some students enjoyed the wide variety of music selections, while others thought some music was too slow and outdated. When students were not busy on the dance floor, they were grabbing snacks from the refreshments table in the back, which consisted of soft drinks, a multitude of chips and cookies. People seemed to really enjoy themselves, while they danced the night away with friends and their significant others. It was a pretty good turnout, between 50 and 100 people, considering it was the weekend and most people are off campus. Originally from Guadalajara, Jalisco Mexico, Miriam Torres currently lives in Roswell. Torres is a junior transfer student from Southern Catholic College and media communication major. This diverse background has only led Torres to set high goals for herself, including majoring in either psychology or communication and learning other languages. 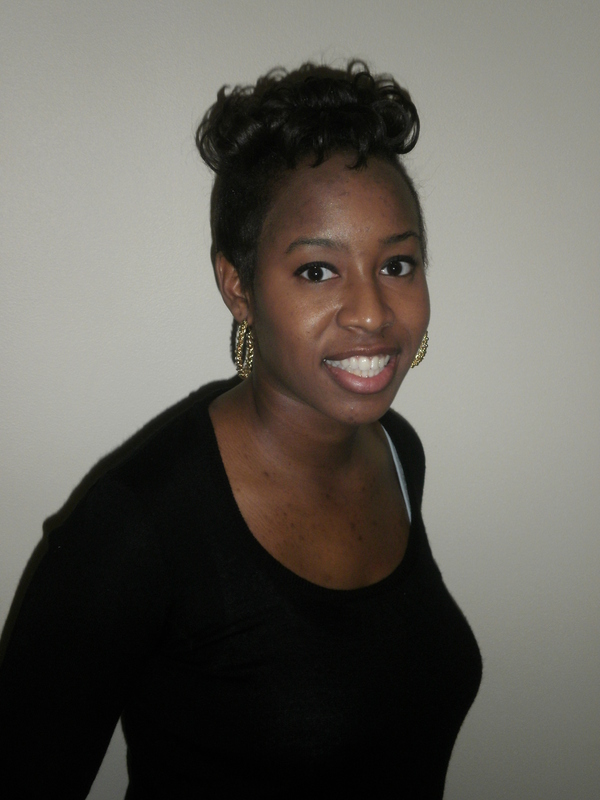 “I chose Young Harris because of the beautiful campus, campus wide clubs and because the class sizes are not that big. So, this gives me an opportunity to get to know my classmates and the professors more,” Torres said. As of now Torres is a media communication major, but she anticipates a psychology department here at YHC. “I am a media communication major, but if they open a psychology department, I would double major in psychology and communications,” said Torres. In order to work through school and obstacles she has faced in life, Torres draws her inspiration from God and her Mom. Torres has taken the inspiration she receives from her faith and mom and has put it into school, as well as exploring the world around her. When free from school Torres loves to take photographs, travel, write poems, songs and short stories. 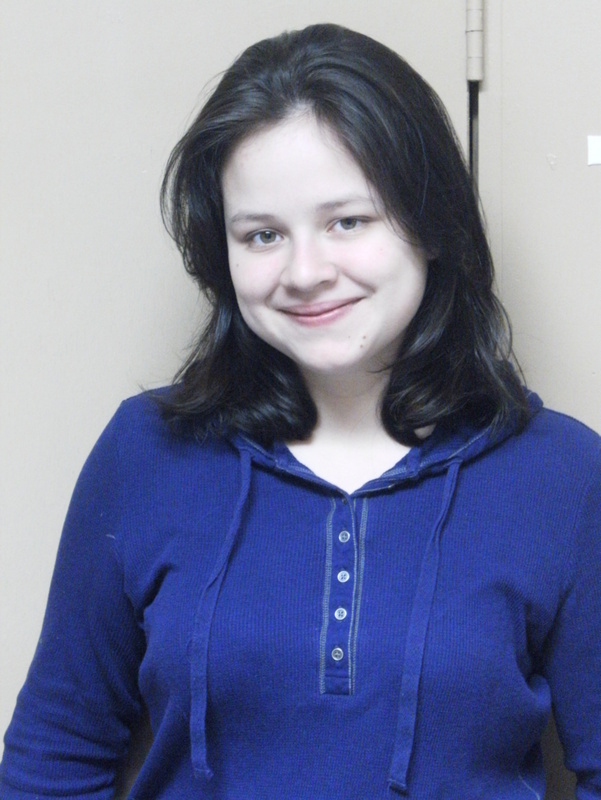 Torres enjoys playing the guitar and loves spending time with her friends. She also likes to learn new languages. While Torres is currently fluent in three languages, she also wants to expand her knowledge by going to different countries to learn more languages. With her education Torres has set goals for herself in where she wants to be in the future. Roses are red; violets are blue; I like you; I hope you like me too! I’m pretty sure that each one of us has read a love note sometime during our early childhood that was from a secret admirer. Elementary school marks the beginning of when we learned to love out of obligation. Your teacher tells you that Valentine’s Day is next week. You then turn right around and tell your mom that you have to go to the grocery store to buy candy for your class. You’re not exactly sure why you feel like you have to do this, but you go along with it. I mean, after all, it is normal right? This romantic holiday has a questionable story line. There is no actual account of when and why this holiday came to be. There are legends, versions and accounts but none are concrete. St. Valentine was said to be a Roman martyr for whom this holiday is celebrated. He was rumored to have been executed on February 14th sometime around 260 A.D.
My next question would definitely raise the issue of why this “holiday” has become the 4th highest day in sales throughout the year.Around 189 million roses are sold on Valentine’s Day versus the 1.2 million that are sold any other time of the year. Why now? What makes Valentine’s Day so much more important than any other 364 days of the year? Why do people not take the time to love those they care about all year long? If you are going to give a gift or show appreciation, make it worth your while. Don’t buy a diamond pendant necklace from the jeweler that is running commercials the week before. Every other guy is going to run to the mall and purchase the same piece. Ladies, when he gives it to you, he’s going to say that he loves you, but should that mean anything to you? I mean, everyone else is doing it too. But hey, if you like it, I love it. I just believe that demonstrating practical gestures towards those you love continuously is more genuine. For those that choose to pay, here are a few facts on purchasing those oh-so-wonderful gifts on Valentine’s Day. Red roses are the most expensive. Growers know what time of year it is and definitely inflate the prices. For what you pay, you could purchase seeds and grow a rose bush throughout the year. I mean, this would at least symbolize a love that grows and not a love that is only present on February 14, as well as give a good return on your money. Let’s be honest here, the average person spends about $80.00 for the holiday. You might as well invest in something that’s going to live longer than 14 days. If you choose to spend a lump sum and shake out your piggy bank for Valentine’s Day be my guest, and do it next week. Remember, corporate America thanks you generously for your contribution. Happy Valentine’s Day! Young Harris College prides itself on being a college as well as an environment in which students and staff members alike are incorporated in the culture and activities that occur on campus. As a freshman, college in general has been a major adjustment in regards to academics and campus life. When I find free time in my schedule, which is usually in the evening, I enjoy watching my favorite series on television. Engaging in something that I am familiar with away from home allows me to feel that much more comfortable with my surroundings. Sitcoms, dramas, cartoons, reality shows and the newest star search have been quite an influence on today’s pop culture. You may find yourself perusing through the channels and happen upon a show that interests you. Consequently, you set your DVR and/or TiVo to record that particular show if you cannot be present to view it as it is being aired. Television has evolved into more than a pastime where families spend time together during the evening hours watching a show that pleases everyone. It has become something of which people in society find themselves scheduling their daily lives and/or schedules around. Now let’s change the dynamic, shall we? It’s 10:00 o’clock at night and the game is on. The channel that I am looking for does not appear to be there. Just to be sure, I check the TV Guide Channel for that particular channel. The network that I watch my favorite television show is not offered. Now what do I do? Immediately, I think to check Hulu online. The show could possibly be available for later viewing. However, it is not. Two strikes and I’m almost out of options. I may just have to wait until I can take a break, go home and catch up on the latest drama. As a student, there are a multitude of things that are un-constant and changing. While most things are in sync some things have yet to reach equilibrium. More often than not, there is a stigma placed on BET and the people that watch it. There is an underlying prejudice towards the network in general. An assumption is made and those who do not care for the content usually judge those who like the channel. In my case, BET is a source of information as well as an outlet that allows for self-expression. BET is an advocate for social justice, on the forefront of political news, first to leak new music from new and old artists and fighting the AIDS epidemic. It is a part of my culture and being without it is difficult. I feel as if I’m not aware of my cultural happenings and lagging behind. I can easily choose to be pessimistic and play the victim in the situation. However, that would not be in my best interest. I’m pretty sure that I am not alone in this predicament. There are probably more people on campus and in the community that have a preference of channels. The best way to solve a minor issue like this is to bring it to the forefront and verbalize my frustration. What channel are you missing? Can your relationship survive long distance? College is a big step in one’s life. It’s the time when we pack up our belongings and our high school memories and prepare for a whole new adventure. For most of us, this means leaving behind family, friends and that special someone. According to statistics, 25-40 percent of all romantic relationships among college students are long distance. This means that at least a quarter of college students understand how much time and effort is needed to make or break a long distance relationship. While I’m sure most of us have had our share of long distance relationship blunders and can probably tell a story or two, this does not mean that every long distance relationship is bound to fail. If there is a strong commitment from both parties to make the relationship work, then there is a better chance of maintaining a relationship. The three main reasons a long distance relationship could fail involve a lack of communication, trust or time to talk to the other person. “At the beginning we both said that we’d call each other every day and even made a plan to when we would both come and visit, but somehow we fell apart,” says Katie Holcomb a junior and outdoor leadership major. In order to understand what helps a long distance relationship maintain its stability, it is necessary to understand what causes them to malfunction. One of the leading causes of a breakup is a lack of communication. If you expect a relationship to work, you have to be very open and honest about what you expect from the other person. There needs to be a clear understanding of whether the relationship is monogamous or open. In addition, both parties need to be clear on expectations regarding visiting each other in person and how both parties expect to communicate. You must learn to answer them openly and honestly, so that both of you know where each other stands. Another cause of a relationship downfall is a lack of trust. Chances are if your relationship did not have trust while you were living in the same area code, then it will not get much better once you move miles away. If there are issues with trust, either face them head on or learn to let go and move on. Lack of time is also an issue. A relationship will not function if some type of communication is not existent. Of course college does make communication a bit of a challenge. We have classes, essays, tests, projects, rehearsals, meetings and so much more to finish before the end of the day. We are pulled towards many directions and sometimes we forget to put a little bit of time into our relationship; and sometimes, college causes our priorities to change. “I know they say that with any kind of relationship it should be a 50-50 effort; but in reality, it should be 100-100,” says Kelli Denning, a freshman and fine arts major from Fannin County. In the end, relationships are all about commitment. If your relationship is serious and you want the relationship to remain positive despite the distance, then make sure both parties plan on maintaining honesty, communication and dedication to the relationship. Also, it never hurts to remind someone that you love them.